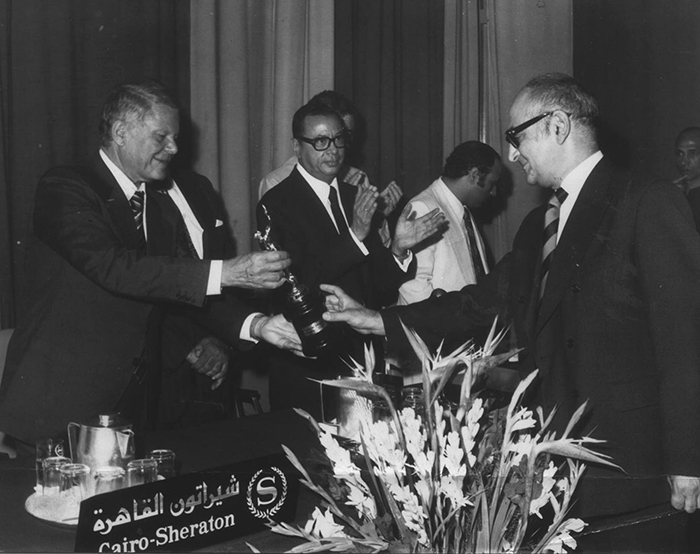 As Egypt celebrates the 36th Cairo International Film Festival, Ahram Online remembers the first time it was held. Cinema is deeply rooted in the social history of Egypt, from the first time films were shown in 1896 Alexandria down to the latest Eid movie. Hence when writer Kamal El-Malakh, head of the Egyptian Cinema Critics Association, thought of holding an international film festival in Cairo, the idea was applauded by the Egyptian cultural scene and the government. And after a few months of preparation, colourful flags were scattered all over the main streets of the capital and international film stars landed for the first time in Cairo in 1976. 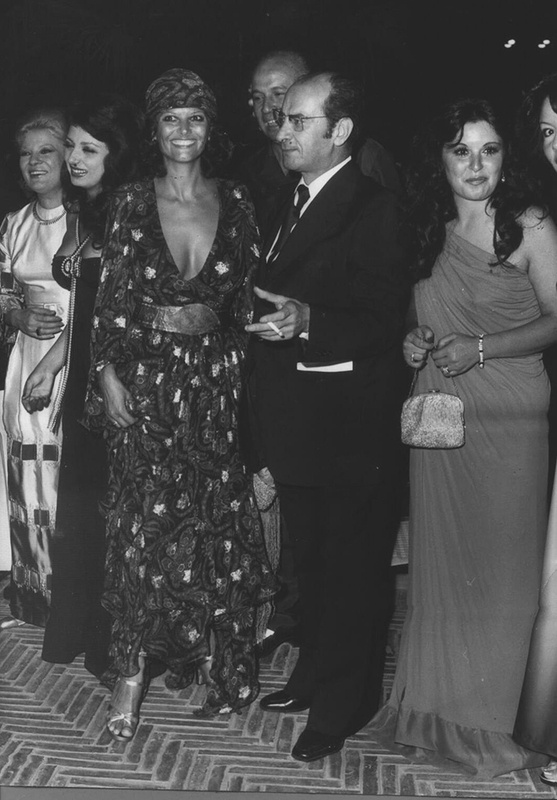 “Hathour, the Ancient Egyptian Goddess of Beauty, is the prize at Egypt’s first International Film Festival (17 to 24 August 1976),” read the headlines of Al-Ahram newspaper on 24 June 1976, describing the shape of the awards. Some 33 countries participated in CIFF with 100 films to screened, 28 of which competed in the main competition, including Japan, Italy, Greece, USA, India, Turkey, Iran and Algeria. An Egyptian film selected in the main competition was Al-Mozneboun (Guilty ones) by Naguib Mahfouz and directed by Saied Marzouk. 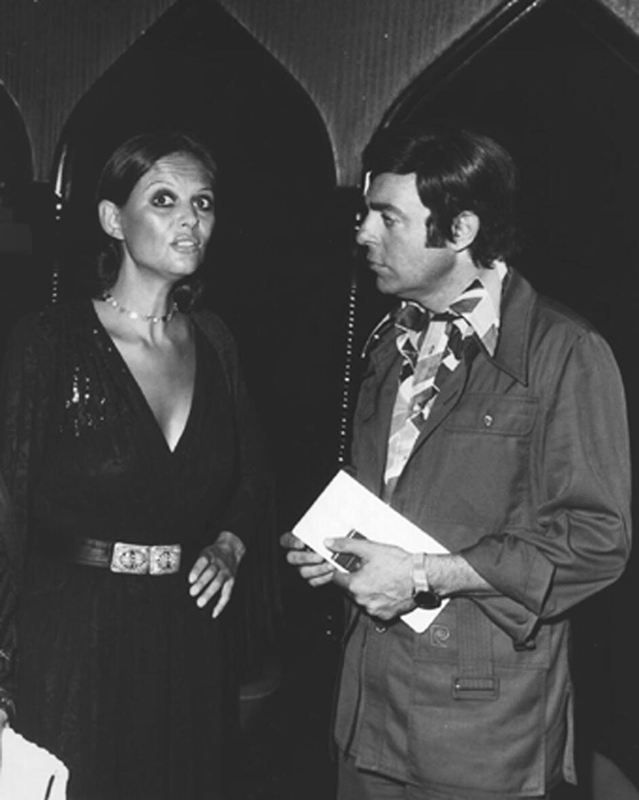 The morning screenings were held at the Sheraton hotel, while evening shows were at the Hilton. Public screenings were at Qasr Al-Nil, Lido and Ramses cinemas. However, a selection of films were held at Gezira Sporting Club (the main tennis court with a capacity of 4,000 people) as well as the new cinema located on the old premises of the horse track. As for Alexandria, films were screened at Rialto and San Stefano cinemas. In an attempt to promote the festival, the organisers lowered ticket prices from 180 piasters to 25 piasters at all cinemas on the CIFF programme. UNESCO participated with three short documentaries featuring Nubia, Philae Island and Carthage. On the jury were renowned Pakistani poet and literary figure Faiz Ahmad Faizand, and great Egyptian director Shady Abdel-Salam. Sudan introduced its first cinematic production: Ors Al Zini (The Wedding of Zeini) directed by Kuwait's Khaled Sediq. United Arab Emirates short film titled The Camel (16 min) produced by Youssef Al-Emeiri and directed by Mohamed Al-Khaldi. As for Saudi Arabia, there was a documentary titled Al-Riad City, directed by Abdalla Abdel-Rahman Maheish. Among films featured off the main competition in the Egyptian Panorama was Egyptian film Sana oula hob (First Grade Love) screened at Ramses cinema. Sana oula hobwas by renowned journalist Mustapha Amin. The film was directed by Salah Abu Seif, Atef Salem, Niazi Mustapha and Helmy Rafla. The script and dialogue were by Ahmed Saleh and narration by novelist Kamal Al-Sheikh. Starring Mahmoud Yassin, Naglaa Fathy, Possy, and Adly Kaseb. The film featured the Egyptian revolutions against the Sedki government of the 1930s. Best actor went to Egyptian cinema icon Emad Hamdy for his role in Al-Mozneboun (Guilty Ones), best actress to German actress L. Carstern for her role in Lina Braake, and best director to Bernhard Sinkel for the same film. Best film went to Italian film The Clowns. Second prize went to Soviet film Kogda Nastupayet Sentyabr (When September Comes) directed by Edmond Keosayan. Special awards went to Iranian directors of photography Mehrdad Fakhimi and Firooz Malekzadeh for their film Stranger and the Fog (1976), while the golden prize for best short film went to Iranian film Wooden Pistols (1975) directed by Shapur Gharib. 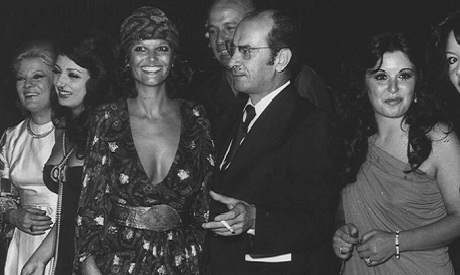 In addition, honorary awards went to Italian actress Claudia Cardinally and Italian director Alberto Lattuada. The closing night was presented by singers Samir Sabri and Samir Al- Eskandarani who also sang folk songs in multiple languages. In addition, Moroccan singer Aziza Galal (whose voice is very similar to renowned singer Asmahan), held her concert at the Pyramids plateau. 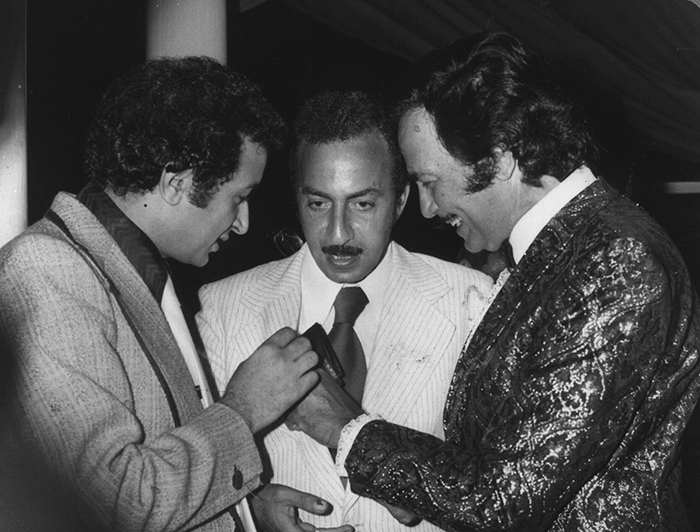 Her songs were composed by music icons Kamal Al-Taweel and Mohamed Al-Mougi. Starting 1977 the festival was to be held twice a year, in February and September.